1. 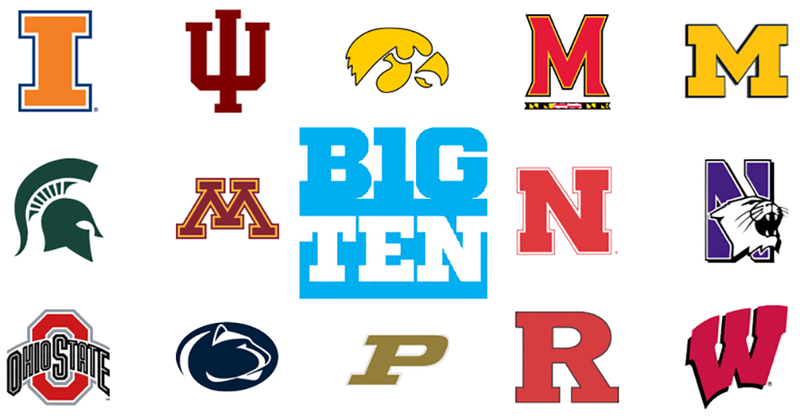 Great access to superior facilities - Big Ten athletics are arguably the best in the country so it just makes sense that the athletic facilities on campus are second to none. Many of the schools in the Big Ten have good working relationships with their local communities and can potentially work to host tournaments of every kind. Whether you need tons of seating for spectators or multiple courts or sheets of ice, you&apos;ll find it in a Big Ten city. 2. A passionate sports community - The residents of a Big Ten community have a true passion for sports and because of this the region has a truly unique sports culture. Pretty much everyone around has a connection to sports at some level or a direct relationship to the University. When the citizens of a community really understand sports, it has an impact on the entire community and you will feel your tournament sport event supported here like no other community can. Looking for a further example? Being in a Big Ten city gives sports event planners access to tens of thousands of enthusiastic volunteers! Yes, college students can make great event volunteers, especially those considering a career in destination marketing or sports event management. 3. Weather that works - Located in the heart of the American Midwest, Big Ten schools offer the benefit of four unique seasons of weather for outdoor sports opportunities. Spring and summer are warm and temperate without being sweltering like southern schools and Fall and Winter offer unique opportunities for hockey, cross country skiing, snow shoeing and more. We also have the best natural outdoor playing surfaces because of our weather. Warm sunny days and cool nights make our grass surfaces lush, green and ready for action. This goes for turf fields as well as golf. 5. The GLSA - While it doesn’t apply to other Big Ten schools, when you meet in Greater Lansing on the campus of Michigan State University you get to work with the Greater Lansing Sports Authority. We are a dedicated, full-service partner in the planning process, no matter what your sports event. With no strings attached (yes, our services are free) and everybody working together to make your event a success. Think of us as a member of your staff except with all the local know-how and connections to make planning smooth. To learn more about the GLSA, explore the rest of this website or contact a member of our dedicated staff today!